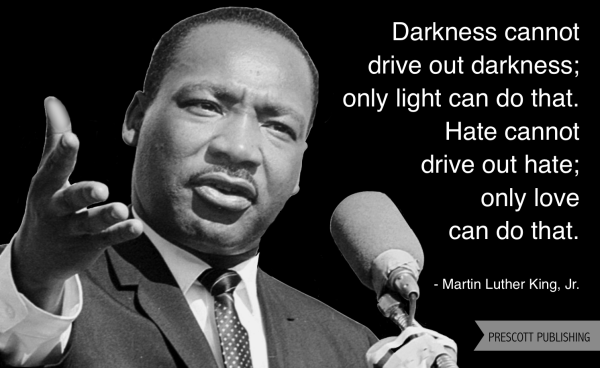 In honor of MLK Day, I wanted to share this printable. It contains just a small portion from Martin Luther King, Jr’s moving “I Have a Dream” speech. 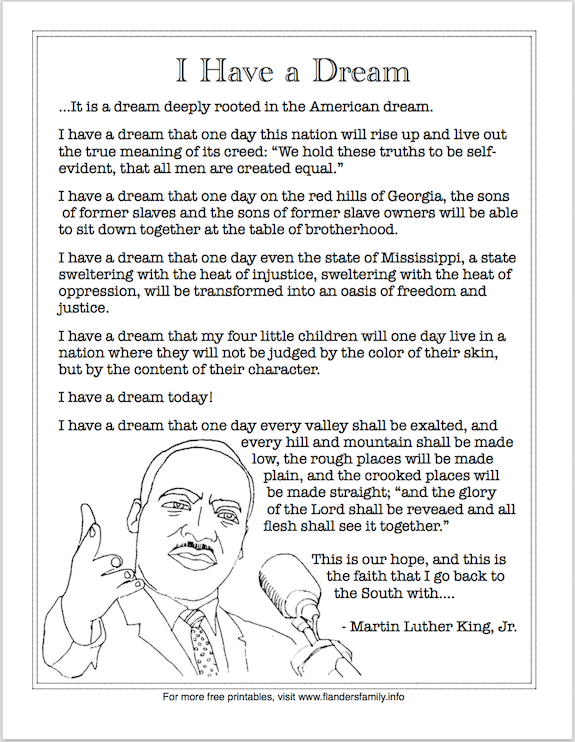 UPDATE: Want more MLK Day printables? You’ll find some here, including a Fun Facts Quiz on Martin Luther King Jr.’s life and a Complete-the-Quote activity that will familiarize you with some of his most pithy sayings.